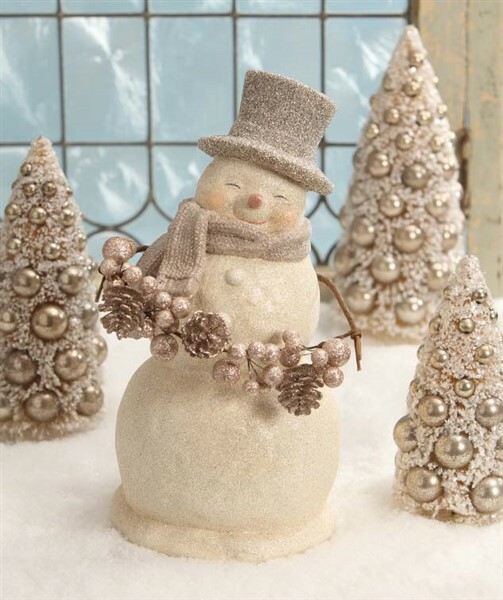 Smiley just might be our favorite snowman of all time! He is creamy with a palate of silvery, coppery and platinum...yummy! Made of resin, glitter, wire faux berries and pine cones, he is approx a big 14" x 8"! Smiley holds a gorgeous garland and the sweetest smile!